This entry was posted in art, elemental, mindfulness, nature photo, photos, poem, spiritual, verse and tagged art, Haiku, mindfulness, nature, Ocean, photography, poetry, scotland, spiritual. Bookmark the permalink. Calm. All senses awake. I can feel it. Lovely haiku, and photo, too! I also enjoyed the hiking haiku! … you should be in print Seonaid …. Sensual …as someone as mentioned …a very inviting scene and moment hinted at ..
Wow Poppy, what a lovely thing to say….but of course I am in print, here on my blog! I was sitting right beside the healing well, with the sound if it’s rushing water filling an otherwise still air…..at the end of a misty day..
That’s a beautiful word to describe the scene perfectly…..the lifted just high enough to veil the late sunlight. Filled with romance and possibilities. Again that’s great to hear as that’s what I was trying to capture, the slow sensual timeless space between earth and sea on an almost still spring evening. 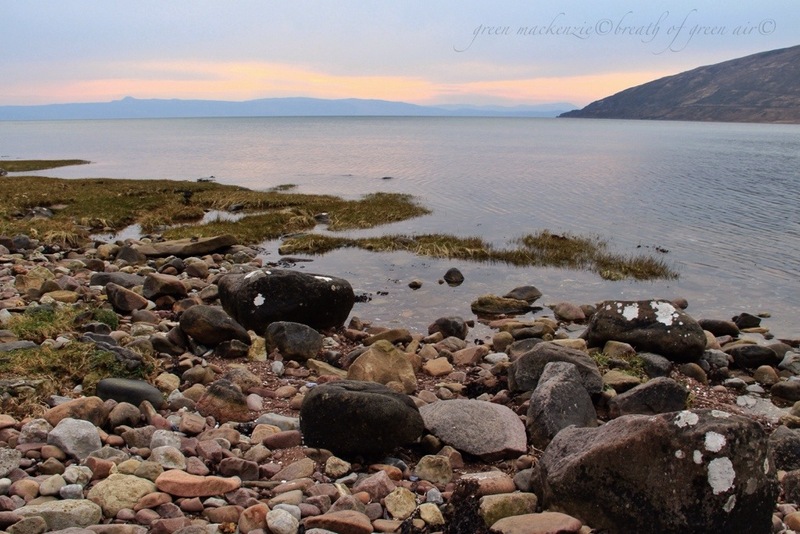 It was taken in Applecross where an ancient Celtic monastery was based, and I always imagine the monks gazing out across this view…..
Ah – those ancient Celtic monasteries (at least the few I’ve visited) do seem to have an aura of calm and timelessness about them. It can be very powerful sometimes. I agree, and I imagine the monks and pilgrims of long ago looking out across the same scene. Yes – it sometimes feels like they are still present. That’s exactly what I was trying to capture…yippee! Orbs? 😉 Kidding. Infinity is in view here!